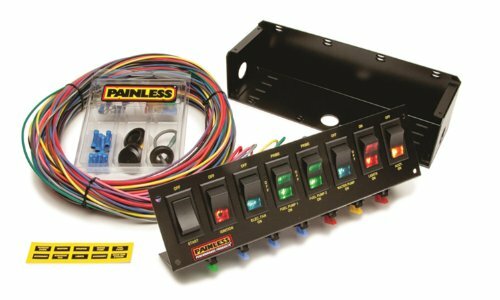 Painless Wiring switch panels clean up your dashboard wiring by putting all of your switches in one convenient, organized place. The panels come with 4, 6, or 8-toggle or rocker switches, they're available in fused and un-fused models, and are easy to install. If you have any questions about this product by Painless, contact us by completing and submitting the form below. If you are looking for a specif part number, please include it with your message.